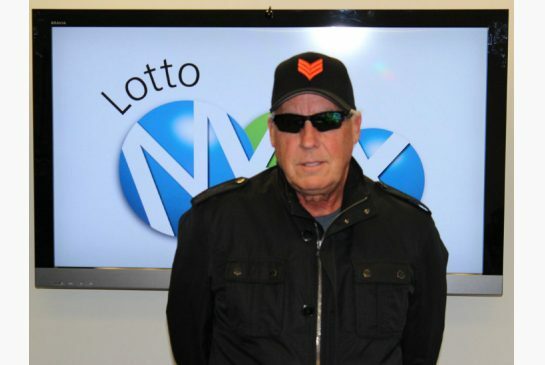 —Tom Crist, of Calgary, Canada, announcing that he was giving the 40 million dollars he won in Canada’s Lotto Max jackpot on May 3 to support cancer research. Tom Crist, who understands what “enough” is. Just in time for Christmas comes the aptly- named anti-Scrooge named Tom Crist. Christ retired as president and chief executive of the electronics company EECOL in September, and has said that he had done well enough in his career that he did not need the money. He did not need the money. How often does anyone in this country say that, feel that, or think that? In a nation that is founded on the principles of liberty and self-determination, the freedom to make as much money as we can also imparts the freedom to say, “Ok, that’s it: enough.” Yet we do not. The disparity and wealth between the richest and poorest in America, logically and realistically, shouldn’t matter as long as the poorest have sufficient resources to live, as long as employees at all levels are paid commensurate with their talents, industry, productivity and effort, and as long as the wealthy acquire their wealth legally and by virtue of their success and skill at their chosen endeavors. Evidence of greed, avarice, and complete disregard for the welfare of the community and society, however, should matter. I do not believe it is the government’s place to decree how much any individual is permitted to acquire by his or her own ambition, toil and ability, but I do believe that it is the culture’s job to teach and communicate values that create more citizens like Tom Crist and fewer like—well, heck, I might as well pick on a former New York Yankee—Robinson Cano. Even the philanthropic tycoons today squeeze every inch of compensation they can out of their businesses and then play heroes in their dotage by setting up foundations to distribute it according to whatever pet causes they care about. It is their money, and they have that right, but why is it so difficult to just turn down the money in the first place? Just because you can get it doesn’t mean you have to, not when the marginal value of it to you is almost nothing, while the same amount can change and better the lives of many. Why can’t more successful Americans be like Tom Christ? Ethics Alarms attempts to give proper attribution and credit to all sources of facts, analysis and other assistance that go into its blog posts. If you are aware of one I missed, or believe your own work or property was used in any way without proper attribution, please contact me, Jack Marshall, at jamproethics@verizon.net. I had a bet with myself who would post that first…you were my second choice. It was meant lovingly as a compliment. Congratulations for inching ever closer from the darkness of objectiveism to the light of sharing, caring, progressive Thought Structure®. Pope Frank is proud of you. Love your latest topics – you seem to be in a groove. Been too busy to respond – but the one that hit home for me was the Mandela sign language guy. Holy cow – what a paradox of infinitely hideous, horrible act – and at the same time diabolically hilarious – the tremendous guilt I feel when cracking up at that “life imitating art” fiasco is palpable. Seriously. Except what’s amusing is that giving away one’s wealth is not a liberal (leftist) idea. If it is a voluntary action to dispense with one’s wealth as one sees fit, that is a painfully right wing idea according to most lefties. Had you advocated the compulsory distribution of someone’s wealth, well then: liberal! Good point… I like that breakdown. I meant to be stereotypical, ironic & hilarious. Oh my bad. Carry on! Is it Christ or Crist? It’s spelled both ways in your post. You’re right it is a culture thing more than a government thing. People can’t be be made “righteous” by governments. People can be forced to do whatever the government decrees they should do if government is willing to be completely ruthless, but, government cannot change people’s hearts. That change comes from each person and that person’s relationships. Being generous and caring is done in small groups, like families. I’d bet Mr Crist was raised in a loving family and community and wants to pass on the blessings of giving he learned there. There you go again, showing your innate conservatism. And that’s not even going into the fact that the only person you complimented on this post was a white man (it matters not that you also went after Schultz; mere cover for your inherent racism). The Rich Little of Ethics Alarms! Why? They are so far equally devoid of logic. Or is it a name thing? Speaking as a nonsmoker, it might depend on what you think of Camels vs. Marlboros. Take the cannoli. My chuckle for the morning. How is that conservative? “As long as the poorest have sufficient resources to live?” That’s the goal of ALL social programs — whether public or private. The only real difference between conservatives and liberals is the source of the funds. Idiot. Well, there’s also the matter of defining what “sufficient resources to live” means. Despite all attempts to repeal it, Poe’s Law is still in the books! Indeed. If CamelStan is a parody poster, he’s a big waste of time. Because of Poe’s law. You fell for Julian’s parody of Stan Marlboro, now exiled to spam hell with the other 670,000 spam comments rot. To be fair, I also had the extra clue of Julian’s email address attached to the faux post. He nearly got me too—it’s the problem of parodying the self-parody. Lamprey, thank you very much. He’s gotta vent somewhere. Padded cells don’t echo. They get lonely. I agree with your general premise that just because we can get all that money doesn’t mean we should but I think there is a difference between Cano and Shultz. Once Cano stops playing that income dries up so for the benefit of his family and his descendants he has an obligation to make as much as he can, although his saying he was disrespected is idiotic. Shultz on the other hand is going to make money for a long long time from his involvement in Starbucks. There comes a point where he has so much that getting even more isn’t going to make any difference. Jack doesn’t say “just because we can doesn’t mean we should” he said “just because we can doesn’t mean we have to”. Those two meaning changes have a lot of implications leading down two wholly divergent roads. Easy…that’s the difference between exemplary ethics and just being baseline ethical. Nothing unethical about accepting money you are offered without duress, even if it would be more ethical to pass. Not what I wrote. I asked why “wouldn’t any sane, reasonable, competent CEO of any kind of company reach a point where” they would refuse to seek or accept such compensation. That is implying that Schultz is such an executive, and, like other CEO’s who qualify, doesn’t reach this conclusion. The question the post raises is why. I know why insane, unreasonable, and incompetent CEOs would act like this. Why do the others? Ah. The original post implies that any S/R/C CEO would necessarily reach that point, therefore Schultz fails on at least one of the three counts, but your explanation makes sense. As for why… who knows. My hunch would be that, considering he earned the money (and he did, even if one assumes CEO’s make too much), so it’s HIS money, end of story. Thanks for mentioning Starbucks. I’ll add another one — Walmart. I saw a recent article where I believe 4 Walmart individuals were listed among the 10 richest people in the US. Good for them — they deserve their wealth. But, at some point, can’t Walmart say, “You know what? I think we’ve reached the point we can raise our workers’ wages by X dollars an hour.” I really would like to see that happen. Actually, Beth, the four Walton children inherited their money. The money was originally made for them by Sam Walton, who would be somewhat less than thrilled to see what Wal-Mart has become. The people that head Walmart (and other companies too — I’m not trying to single it out) right now are still very wealthy. My point stands — and I’m not “anti-millionaire” — but if you have millions and if a healthy percentage of your employees are on food stamps or other state assistance, there’s something wrong here. It’s not a far leap to argue that the tax payers are helping to subsidize these millionaire’s salaries. I think a better way to frame this is that the culture should reexamine what it values. Your post suggests that amassing wealth is done so only for the purpose of obtaining the material representations of that wealth. Thus, there comes a point in time when the marginal utility of the acquisition becomes near zero and any further acquisition is wasteful and excessive. Because of this, we should not seek to maximize the total resources we have to use as we see fit. As someone with a thorough understanding of economics I can tell you that no one except the individuals in a transaction can assess the marginal value of any transaction. Even when they think they know, they may later find out they were wrong. Marginal value is only a temporal value in the mind of the person receiving the value. In your example of Mr. Crist, his donation may save countless lives in to long run; a high value good to some. But, the counter argument is that Mr. Crist did not use his unexpected fortune to sponsor research in other areas that might lead to even higher total value to patients suffering from myriad other maladies. The problem is that we cannot know which will lead to higher total social value. Another problem with the argument that we shouldn’t try to amass as much wealth as possible is that who will determine what is enough. What worries me is that people like Stan will be first in line to criticize any donation if they, and the things they value are not on the receiving end. While I am in agreement with your theme, I think the real point is that we need to reassess what each of us values. In my opinion the only sustainable way to maximize social value is to allow people to amass as much as they can; with the caveat that their earnings are conditioned on the limitations you set forth in your post. The cultural shift in values must come from within the individual such that he or she values value to others on a competitive plane with material value to oneself. If we attempt to force a cultural value set upon the individual then it will be met with resistance that requires social or governmental force to mandate compliance. If that happens we will just shift value transfers from individual decision making to the mob. Marschner/AM = Jekyll/Hyde right? I know I fell for Julian’s ploy earlier this morning, but for sometime I’ve been thinking that Chris’s posts read like AM’s would with actual sentences replacing the performance art/expletive method that he has been perfecting. And if not’s the case, maybe they are long lost relatives or something. Now don’t go paranoid on us. Paranoid — never! But Chris’s posts are just a little TOO formal — there is definitely something weird about them…. Way past you on this. Chris marschner’s very first post several weeks ago caught my attention. He and Ablative are from nearly identical schools of thought regarding the free market. But they aren’t the same people. wow nice ones besides if he picked 400 people with 50,000 each struggles cost of living and giving away with many organization some of them are selfish or laid off their employees etc supposed i won i would have done that way parent with children out there are struggles with economy especially those who laid off from any general organization etc wise choice culture shift !!! Even a semi-colon or two? Blog performance art. I bestow the benefit of the doubt here. I also spent my freshman year in e e cummings’ old dorm room. True! America’s rich give a massive amount of money to charity. All of it? No… not unless you’re like Rick Warren, I suppose… the famous pastor and author from Saddleback Church. I’m a small business owner and my clients are the ultra wealthy. I go to their charity fundraisers and see first hand, just how incredibly generous they are. Shame on anyone who puts down the rich. If it wasn’t for them, we’d all be poor. Why don’t you read the post? Nobody’s “putting down the rich.” I’m “putting down” the gratuitously avaricious. And allowing people to earn more money and use it as they please is more desirable than one decision-maker controlling all of it. Jack, I suppose I can see your distinction. Perhaps I read more into it, when I see statements like…. “Evidence of greed, avarice, and complete disregard for the welfare of the community and society”. – I do not think this description is the norm, among the ultra wealthy. But maybe you didn’t mean it to be. In my opinion, your post would have had a greater influence, if you used Mr. Crist, as an example of the ultra-wealthy, instead of using him to contrast your perception of them. What good does your post do, except to say “thanks, but no thanks”? I often think of this verse when I see the outpouring of love and care and money, to those need it so much. I see the massive amount of money given to Children’s hospital, the several disabled, clean water initiatives in Africa and India. If you knew how much the rich give, I think you’d have a different perspective. I don’t think extreme greed is the norm. What I see, is extreme generosity. Your last sentence is unprovable. Those capable of extracting endless millions from the system appear to do so regardless of their needs, even by extravagant standards. Would the 97% or so behave differently, given the chance? I doubt it very much. I did not call them bums. I believe that collecting all the cash you can get your hands on is not less selfish and greedy because you give a lot of it away later. Nor is giving away money you have no use for extraordinarily praiseworthy. It’s the right thing to do. It is not exemplary behavior, and taking money that you don’t need in the first place just because you can is, objectively, irrational. You have a right to do it, that’s all. do you know that a so-called Tom-Crist-Foundation writes fake emails to hundred thousands unaware citizens telling them that Tom Crist is giving out 1,200,000,00 USD to individuals groups and associations? Well, I am one of those. Next step, they send you a beautiful picture of Tom Crist and his wife, with a lot of informations on how to receive the great check. They also file a fake copy of thecheck, telling you to contact Mr Crist’s European collaborator Garry Butenko,asking you to contact him. That’s what I did and do you know what happened? After a lot of explanations ,IF I wanted to receive the check, I was supposed to send 850,00UDS to Dana Edward, at an Ukrainian address in Kiev.Of course he said my check had been shipped . I sent Mr Butenko two mails asking him for some informations and he never replied. I had also contacted Mr Crist via facebook and he told me to contact the tcfoundation@live.com for explanations. I actually contacted this foundation after receiving the the two mails,explaining what happened and asking for informations but they never replied. Damien: I commend you for attending charity fundraisers. I do have three questions. As a small business owner did you go to the event to network among clients for business purposes or simply to contribute to the cause? If it is the latter, wouldn’t it make as much sense to eliminate the marginal costs of your attendance at the event and simply send a larger check instead? Would you have preferred to support a different organization with your funds rather than the one chosen by your clients? America’s rich are extremely generous and can do with their earnings as they see fit, but I see little difference in spending excess cash on lavish events that help the power elite group’s favorite organization and their own social standing when they could have walked into a poor community and spent lavishly with the merchants there. It does not matter whether it is the government making redistribution choices or the socially connected. The decision should be yours. I suppose a persons social standing cannot be measured unless others in the peer group are witness to the person’s ability to demonstrate generosity. Chris, I’m tempted to ask everyone here what percentage of their income is given to the poor. Like your questions of me, that might be very revealing. Philosophically, I’m getting the point… that it would be nice if the ultra wealthy, were as altruistic, as Crist. So, if that’s what the post is about, great… I see that and agree. If I had that much money, I would give [most] of it away… But I think it’s counterproductive to put down the rich for their selfish acts of generosity. It’s just stupid. But hey… if we’re just talking philosophy, fine. I’m not a regular here… maybe that’s what y’all do. (1a) Do I go to network? No, I’m not very social and do not network at all. I have one friend on facebook (my wife). I do not like attention, and my company is about our brand and service, not me. (1b) Nobody knows who I am, or what I do, or why I’m there. Except for my client who asked me for help. Oh, and yes… they offer to pay me and I refuse. (1c) I go to give my time and resources to the fundraising. (2) Does my attendance eat up resources… “The cost of dinner, yes”. (3) I probably would not send a $500 check to Children’s hospital, but I’m honored to volunteer with these organizations that send millions. Personally, my $500 is going to buy Christmas presents and dinner fixings for two poor families, this Christmas. In my own selfish way… this is how I like to help. I do not earn enough money to make a difference at these events… but I can help THEM make a difference. As embarrassingly selfish that may be, I feel good about it. Personally, I give to the charities that I think do the most good, like World Vision, and I really enjoy helping people in more personal ways. Most of my financial giving and community volunteer work is via my church – which is very efficient at serving the local community. Chris, what does this mean… “It does not matter whether it is the government making redistribution choices or the socially connected. The decision should be yours.” …I’m not sure if you’re saying “it does not matter.” Or if you’re saying, it does matter, because “the decision should be yours.” – Confused. Personally, I think the government is unimaginably more corrupt and inefficient with our money, and so therefore, I think it does matter. Selfish entrepreneurs are much more effective at helping people. Jay: If I understand you correctly, you agree with what I said and went further to suggest that you would have picked something else but more worthy in your mind. Wealth can take many forms. To some its money and things that money buys. You can be financially poor but have great wealth in knowledge and of spirit. Unfortunately in our society, we seem to measure our ability to buy things; not our ability to create even more value. Thus you can be rich in money but no wealth in terms of spirit. Every one of us has the ability to create charitable value. It does not have to be a huge gift of $40 million. It can be as simple as holding the door for someone, shoveling snow off the walk of an elderly person without asking for payment or smiling and saying good morning to a person that appears to need it. Simply do it and move on to other things. Philanthropy coupled with a press release is OK but it is hardly charity when one seeks public accolades (unsolicited accolades don’t count against the charitable reasoning). Simple random acts of kindness will help the culture evolve. The first rule of creating value for others is that you first seek to serve rather than profit. YOU CANNOT CREATE A LEGITIMATE PROFIT WITHOUT CREATING VALUE FOR OTHERS FIRST. By serving others and creating value people will willingly exchange things of value (money or barter) to obtain the value you create for them. If you create great value for others and the value exchange is voluntary then you have earned the right to do with it as you choose. There should be no requirement that you share your gains with others but if you value making other’s lives better then helping them without recompense is a strong viable choice. I am a Government Officer who works in Sri Lanka.I supposed to built a house for me and my family. Could you help me in this regard? Jack, I think your filter’s acting up again. No, I left one of these in for effect. I’ve gotten several on this post. I left this on as an especially good example of other similar comments on this topic. This is why winning any lottery is a mixed blessing. Great….he just sentenced millions on animals to useless testing via vivisection….way to go 😦 There are many cures for cancer…none involve charities. The medical field, the government, and the higher ups do not want a cure. Cancer is a business. Too bad rich people can have big hearts yet no brains. This is depressing.